EDF Energy, the French company that runs Hunterston B nuclear power station, has postponed the restart date for reactor three by two months to 30 June 2019. The restart of reactor four has been postponed a month until 30 April 2019. Some 370 major cracks have been found in the graphite core of reactor three, which has been closed down for more than a year since 9 March 2018. There are estimated to be around 200 similar cracks in reactor four, which was closed down on 2 October 2018. The operational safety limit for cracks imposed by the UK government’s Office for Nuclear Regulation (ONR) is 350. EDF is now trying to convince ONR that reactors should be allowed to operate with up to 700 cracks. The proposed restart dates for both reactors have been repeatedly delayed over the last six months. They started generating electricity in 1976 and were originally due to close in 2006 – but EDF wants to keep them going until at least 2023. In a letter to the Hunterston site stakeholder group on 18 March, EDF said reactor three was cracking “at a higher rate than modelled”. The company was reviewing its “safety case” for restarting the reactor. “On completion it will be submitted to the ONR for their assessment. To allow sufficient time for this we have declared 30 June 2019 for return to service of reactor three,” wrote acting Hunterston station director, Dr Roddy Angus. The reactor was previously due to restart on 30 April. According to Angus, the safety case for reactor four had been submitted to ONR. “The ONR will, completely independently, review the case before deciding whether or not to approve for return to service,” he said. In order to “support time for the ONR assessment” EDF had declared 30 April 2019 as the restart date for reactor four. It was previously due to restart on 31 March. Over the last year EDF had completed “an extensive inspection programme, one of the most detailed of its kind in the world,” Angus said. On 8 March EDF released videos of some of the cracks in the graphite blocks that make up reactor cores. The company said the average width of cracks was currently two millimetres. “We have demonstrated in our safety cases that cracks up to a width of 10mm on the inside of the fuel channel and 18mm on the outside of the fuel channel are acceptable,” it claimed. It really is time for EDF to admit that these stations are well past their sell-by date and need to close. Critics, however, reiterated calls for the reactors to shut down permanently. “It really is time for EDF to admit that these stations are well past their sell-by date and need to close,” said nuclear consultant, Peter Roche. 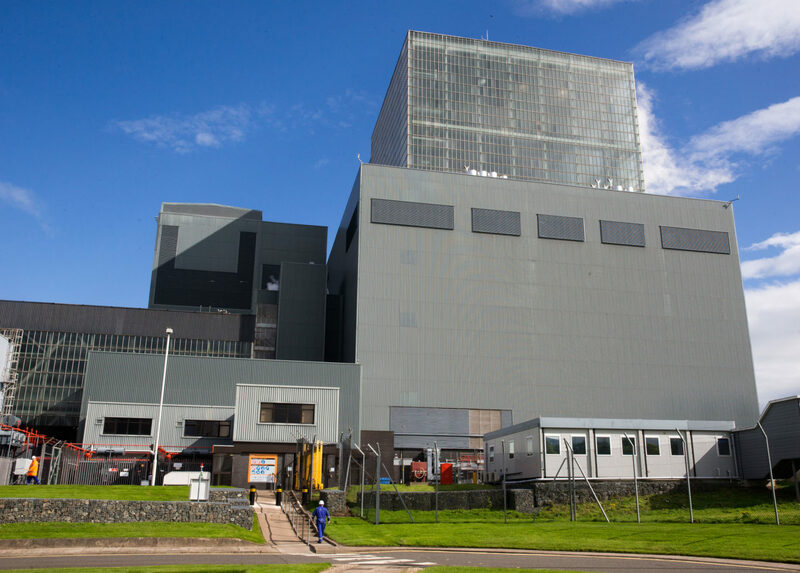 Rita Holmes, chair of the Hunterston site stakeholder group chair, said that personally she had no doubt that ONR would take time to scrutinise EDF’s safety cases. “Some people find the delays reassuring because EDF is sparing no expense, leaving no stone unturned, consulting the experts in order to build a robust safety case,” she said. ONR said it had initially received a safety case for a return to service of reactor four in November 2018. “But we requested further information from EDF in respect of multiply cracked bricks,” an ONR spokesperson told The Ferret. Photo thanks to EDF Energy.